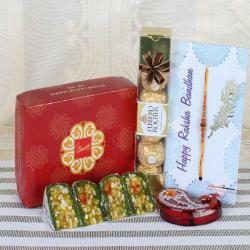 Masala Cashew with Dry Fruit Cake Sweets and Rudraksha Rakhi is a perfect rakhi gift for your lovely brother. 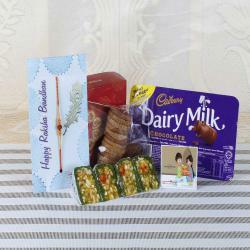 It is guaranteed that your brother will surely enjoy a lot while receiving the gift hamper. The dry fruit sweet cake will add the much-needed sweetness to your brother’s day. The amazing taste of the cake will remind him of all the childhood memories that you both shared. 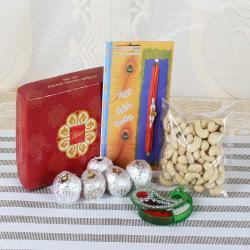 Moreover, it is the best-innovated gift selection for Raksha Bandhan. 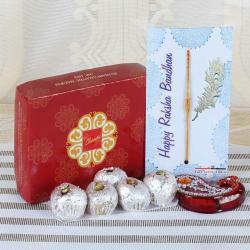 You can get this hamper along with Rudraksha rakhi thread so that you have a beautiful rakhi celebration day. Apart from this, the hamper also has masala cashew with Roli Chawal container that makes it as a lovely gift. 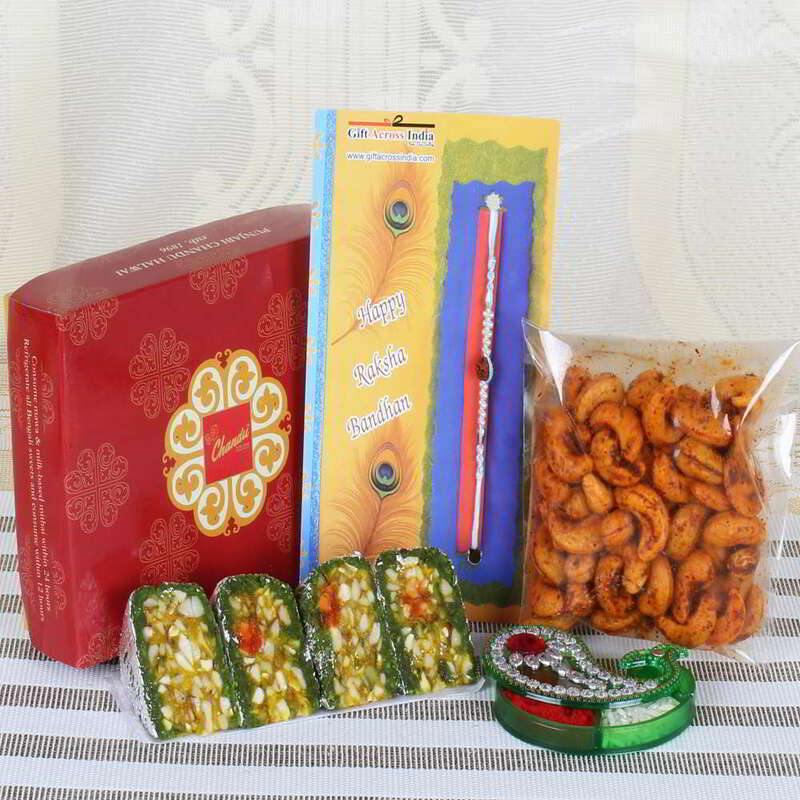 Product Consist: Dry Fruit Cake Sweets (Weight: 200 gms), Rudraksha Rakhi, Masala Cashew (Weight: 100 gms) along with Roli Chawal Container.